In addition to dedicated meeting space, Alderbrook Restaurant features a private dining room where up to 16 people can gather for a casual meeting over lunch or dinner. Rental fee applies. 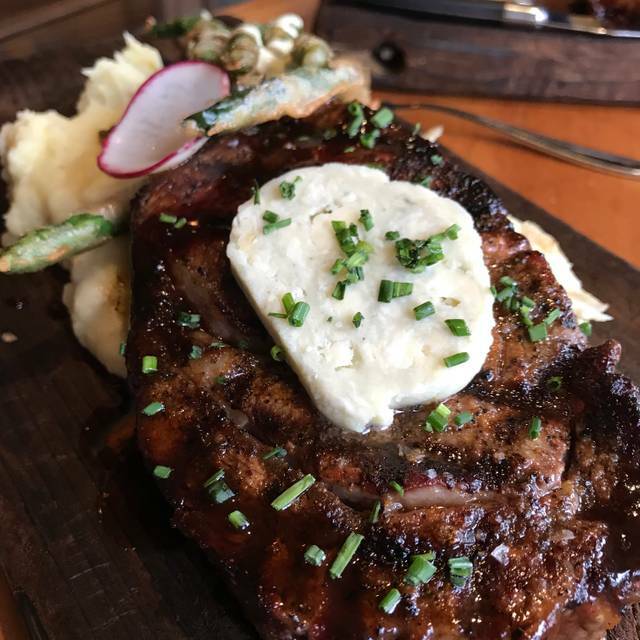 Our location brings out the best in fresh local seafood, dry aged beef, world-class wines and waterfront views - making The Restaurant at Alderbrook a destination in itself. The interior setting of The Restaurant at Alderbrook takes its inspiration from the outdoors with warm colors of chocolate brown and sage green representing the gardens and lawn of the resort. Floor-to-ceiling windows and multi-levels amplify views of the brilliant shore and snow-capped peaks of the Olympic Mountains. The cuisine showcases local seafood harvested from Puget Sound and Hood Canal. After all, our shores are encrusted with oysters, our docks lined with mussels, and our sea teems with salmon. My husband & I were celebrating our 20th wedding anniversary. The food was fantastic as well as the service. Our server, Michelle was amazing. We had a memorable evening. Quality food, friendly service and nice ambiance just felt a bit overpriced since it’s your only option for meals on property. 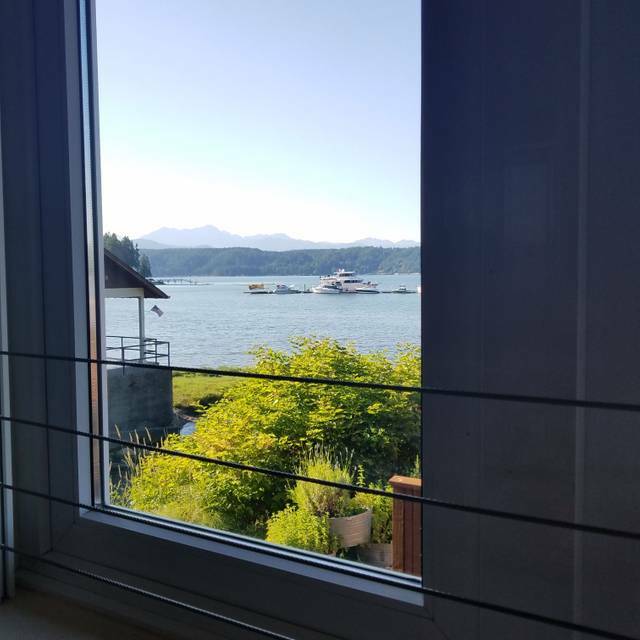 Attractive dining room with a great view of Hood Canal. My husband's flat-iron steak was very good; my meatloaf was a bit dry and the mashed potatoes weren't great. On the other hand, breakfast was amazing. The huckleberry pancakes were exceptionally good. The food was average, not exceptional. Portions was good. However the Ruben had every little corn beef and it was tough. Always Excellent! 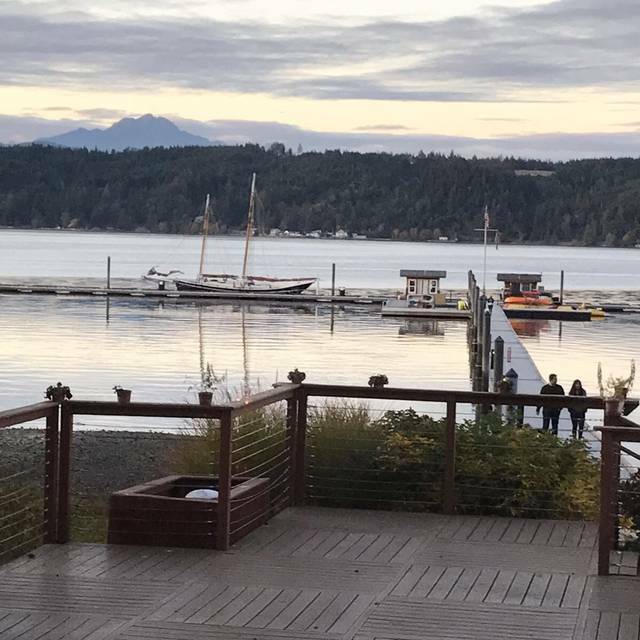 Alderbrook is a wonderful place to dine. Not only is the food and service outstanding the view is one of a kind. Everything was great, even thought its a little on the expensive side. We started with the clam chowder, which was soooo delicious and not too heavy. I had the duck with fried rice, which was heavy but in all the right ways. My date had the venison and raved about it. My only regret is that we were too full to enjoy the beautiful dessert menu. Food was average. They should consider a simpler menu and really nail the flavor. 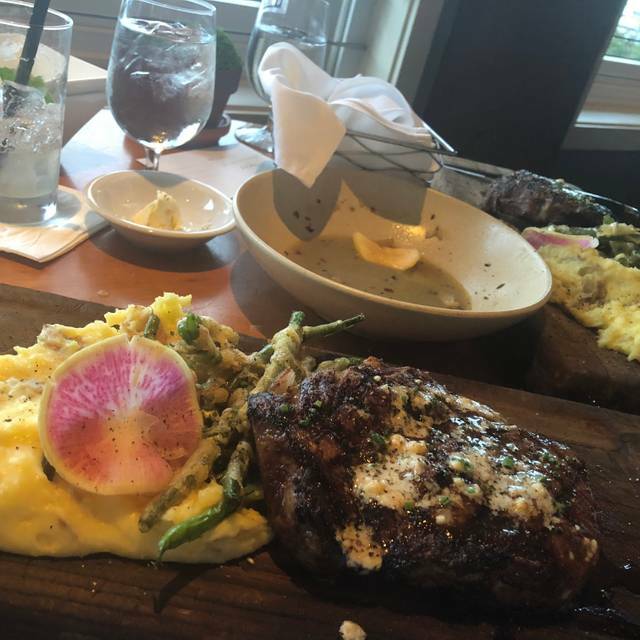 Great food, great service, great view. Look forward to a return visit. The seared scallops that began my meal were the best I've ever had, followed by an exquisite roasted beet salad. My boyfriend had the chicken breast and polenta and he enjoyed his as well. Excellent meal made for an unforgettable evening! Great Place to enjoy the view and atmosphere. Good was good but not excellent as the crab in both of our dishes; omelet and eggs benedict was not fresh and had been frozen. For the price expected fresh crab. All in all we had a very nice St. Patty's Day brunch. We love the Alderbrook Resort and Spa! There were a couple minor missteps with the food and service but overall it was outstanding. The craft cocktails were excellent! I recommend the Moonlight and the Maple Old Fashioned. The black pepper calamari was lacking any sign of black pepper but it was pretty good. The 5 spice duck was rather dry and forgettable the pork belly was wonderful. The Caesar salad was not appealing as it was a hard chunk of romaine ends and the anchovies were whole on top rather than blended into the dressing, I thought it was weird. Overall for our stay we were pampered and pleased with the service and the food. The restaurant was fantastic. Delicious food prepared perfectly. The clams and the New York steak were outstanding. The bar is noisy during happy hour but it was still really fun. The brunch was amazing as well as breakfast delivered to our room. The dinner service was memorable from the elevated flavors, variety of delicious local foods as well as the attention to detail from greetings, table settings to servers. The only drawback to the evening was the noise level. While it felt satisfying that so many patrons were enjoying themselves, it made it challenging for us to carry on a conversation without raising our voices. I'd go back though! We had an amazing anniversary dinner. The staff surprised us with a "Happy Anniversary" card from Alderbook Resort. Then they gave us each a complimentary glass of champagne. They brought those out along with our cocktails that we already ordered. From there we ordered the crab cakes for an appetizer, which were unbelievable! I had the special which was New York sirloin and my wife had the crab ravioli. The food was excellent and the best it's ever been since I can remember. We got married there in 2006 and we've been back 5-6 times over the years so this was a very good meal. After dinner they gave us a complimentary mini chocolate cake. It was super rich and very tasty. Overall we had a great anniversary dinner. Thank you to the chef and all the Alderbrook staff that night. Actually was able to be seated early, great service, & incredible food! Food and service was excellent. Zach, our server, was very helpful on deciding what to eat and thoughtful when it came to my girlfriends allergy to shellfish. A very nice place to go for special occasions. We were happy with both the food and the service! We had an amazing dining experience. The cheese board was fabulous and we highly recommend that as an appetizer. The service was impeccable. Everything was wonderful! We had a few meals here over our 3 day stay. The Bloody Mary's are phenomenal, the crab nachos were to due for, the clam chowder was great with the house bread, breakfast was delicious we had Benedict and French toast, for dinner we had the best filet we've ever had- it had foi gras on top. the rib eye was great too and was served with smoked bone marrow mashed potatoes. I loved the bone marrow appetizer with fig jam. We finished outlr dinner a nice latte and a complimentary chocolate cake for the birthday celebration. The restaurant was incredible and consistent. The service was also great. We cant wait to go back! Very noisy in the restaurant and pricey but food was delish. I’m not sure I will go again just because of how loud it was. What a lovely place! Waiter was very friendly, helpful & professional. Food (crab cakes, beet salad, ribeye, salmon & roasted red pepper risotto) was superb, w generous portions (enough leftovers for meal next day). Added bonus was hearing live music from bar area drift toward dining area. Low enough volume to still talk and listen without strain. Capper was petting resident kitties in lobby goodbye on way out. We’ll be back sooner than later. Love the Alderbrook. We bought Property recently 5 mins up the way in Union Heights and its or go to restaurant when we want to show off Union to friends, or hang out as a couple or the girls. We have also attended many of the Union City Market dinners directly down the hill from us, nothing short of amazing. One of the reasons we bought property there! We love everything about the resort. Oh my goodness it couldn't have been any better than what it was! The food was 😉 Amazing! Was a 10! We even Had the Chef Ben Jones come out to our table which made it the Best! Thank You Alderbrooke for The Best Dining Experience Ever!!!!! Good service, nice meal. Was disappointed to see two items on the menu not available, one of which I had been very interested in ordering (pork chop(. The duck was quite good, not what I’d call “Peking “ necessarily but still excellent. Surprisingly, the star of the dish was the rice. My wife had the ravioli which she loved. The seafood and flavors are right up her alley. Nice portion sizes of each dish. 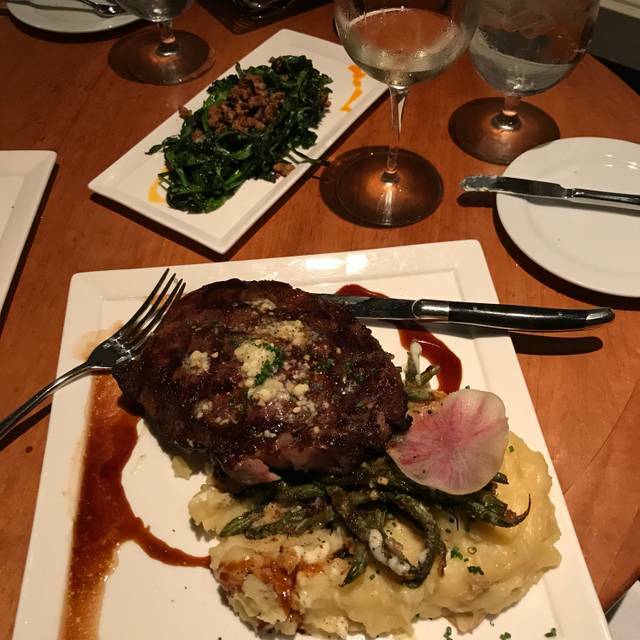 Prices were a bit high but reasonable for a nice meal out, more expensive but akin to fine dining such as Brix 25 in Gig Harbor. We’d probably come here again for a nice meal out, but the dining credit certainly helped our decision and would likely flavor it again. Came here for our anniversary and stayed at the resort. We had the scallop appetizer which was pricey but delicious! The risotto was good but too rich but the steak was fantastic! Drinks and anniversary dessert were great too. The service was well above average. Nice place to celebrate a special occasion. The service was horrible. We were seated at 5:10 but did not get our meal until 6:30. We watched the table next to us order their meal, eat their meal, order dessert, eat their dessert, pay their tab and walk out before we were served our main course. Our waiter did not try to explain why the wait. He did say we could have dessert on the house. Big deal! We had an order of 2 New York Steaks and an order of your duck. The duck was perfect, however the two steak dinners were horrible. I've had a better steak at Sizzlers. First of all there was not any seasoning on either steak, not even salt or pepper. That means there was no flavor to speak of. There was no salt or pepper on the table to add to my steak. The only flavor you could taste was the cambozola cream. Second, the steak was cold. Since our waiter didn't show up at our table until we were done, we were unable to say anything to anyone. 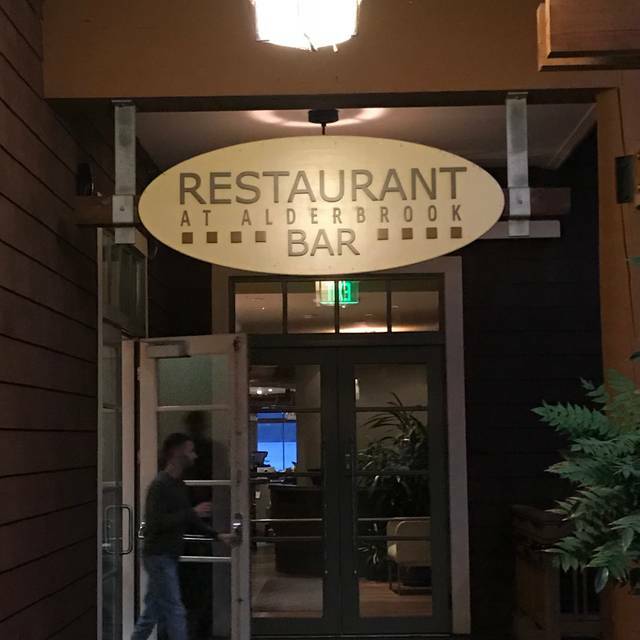 We have eaten at Alderbrook at least 20 times. But this was the worst experience we have ever had. During our stay we had breakfast, lunch and dinner at the restuarant. 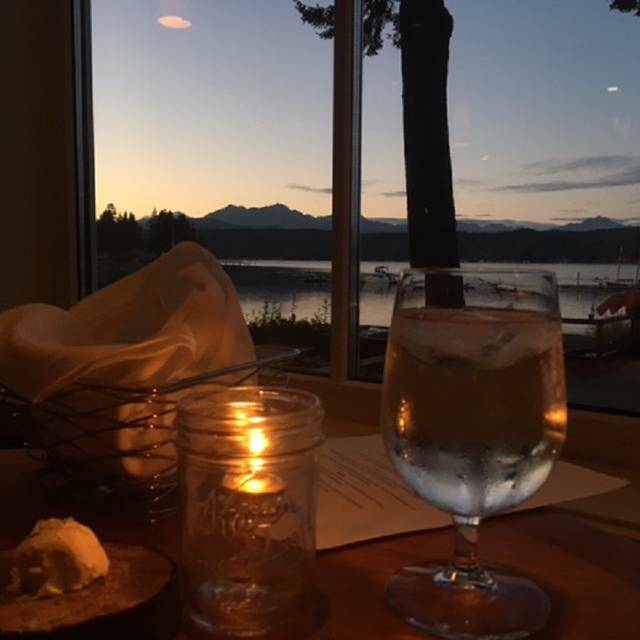 Wonderful views of the Hood Canal combined with inventive starters and entrees (and desserts). The entrees tend to the large side, which is great for after a long hike. Kids and adults alike all have good time. The staff is attentive and effective, and the chef and his team do a great job designing and delivering on a great menu. My husband and I went to Alderbrook to celebrate our 38th Anniversary. It was an early dinner (5pm) and we were the first seated. Our table was for two and was next to the window...nice view. Our waitress was wonderful as was the hostess who seated us. Drinks, appetizers and dinner came to us in a timely manner. Alderbrook offered us a free Chocolate torte for dessert...we opted to purchase Creme Brulee instead. The Crème Brulee arrived and was HUGE!!!!! We also got the free dessert. Our dinner was spectacular. Tempura veggies, Duck & Plum Pork. Will go back again for our next special occasion. Great food and friendly staff in a beautiful setting make for a perfect meal! 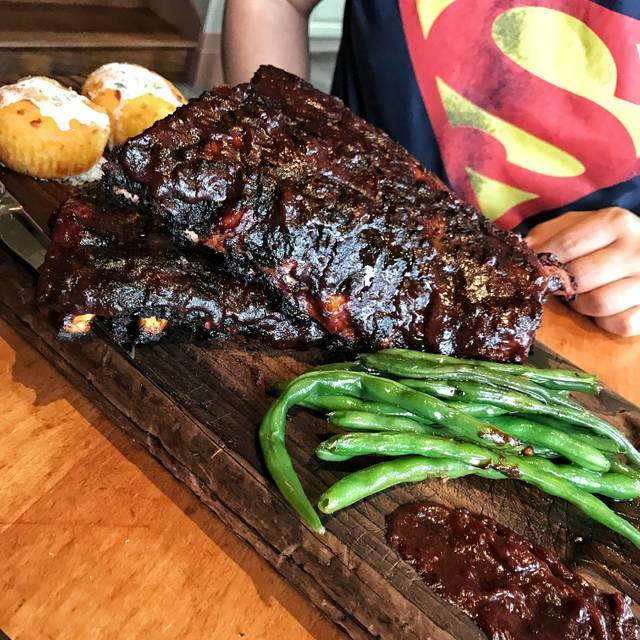 Moving to Kitsap Peninsula from Portland OR has been the best thing we could have done -- except we DO MISS the amazing food scene. 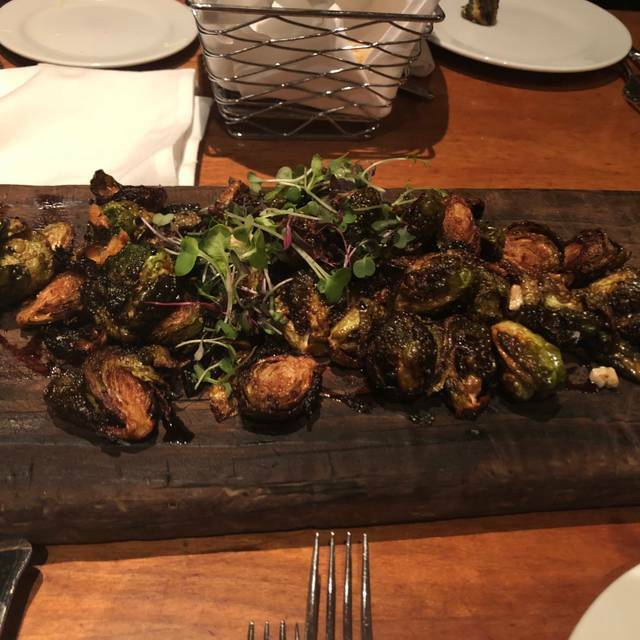 Dining at Alderbrook Resort with friends for our annual special holiday dinner gave us hope. Now we know when we need a hit of gorgeous, tasteful, imaginative, fresh and local dining we can find it here; and the prices aren't over the top. The resort is Northwest beautiful and cozy, with spectacular scenery, a lovely bar, and gracious service. Recommend for special events or a quick snack w/cocktail in the bar. It's all amazing. Best service I've had in a long time. Food was great but I would go back for the service & views. Servers name was Joyce.